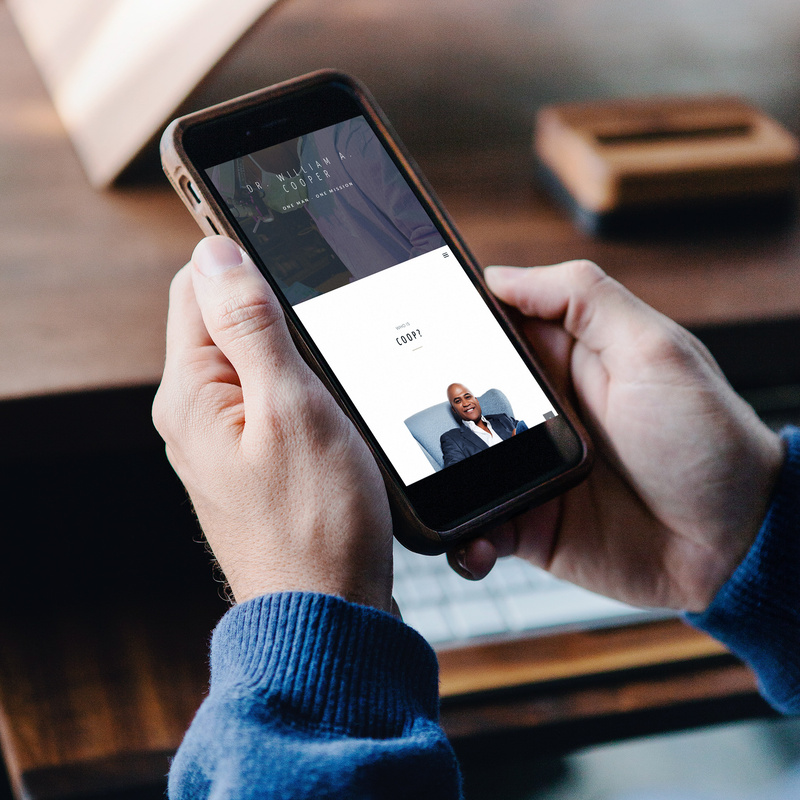 I am an extremely creative solution strategist who is able to construct online design and branding solutions with speed and exceptional quality. I am known for my ability to work well on cross-functional teams. I often serve as a subject matter expert on both design and technical topics. That has earned me the nickname "Regenius" from my current colleagues. I have a detailed eye for typography, composition, color and typos. There is no task too small or too large since I am and always have been a team player who keeps the best interest of my clients and client-partners as top priority. My proficiency level ranks as expert in WordPress, Adobe Photoshop and Illustrator. Take a look around and contact me using the form below.
. : Skillset : .
. : Experience : . 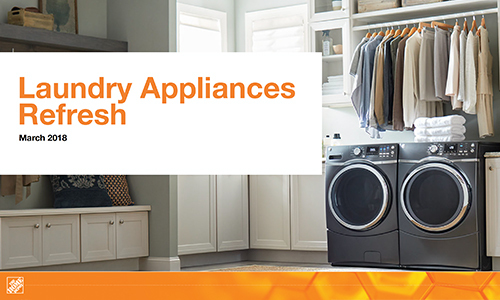 • Design Lead for Appliances category. Manage and deliver major updates to category pages for these categories as well as complete daily request for updates across the site. 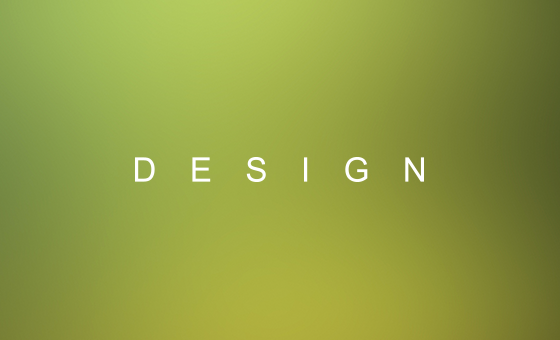 Design and implement event branding for major events. • Work closely with Category Experience and Content teams to build pages that to exceed KPI measurements YoY. • Member of the CMS migration team for Content/Category pages, Project Guides, Buying Guides and PLP Banners. Responsibilities include learning, training and leading in CMS improvements as a Creative super-user of the tool. 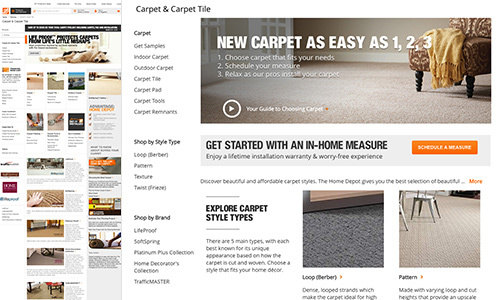 • Creative designer for Flooring category pages. 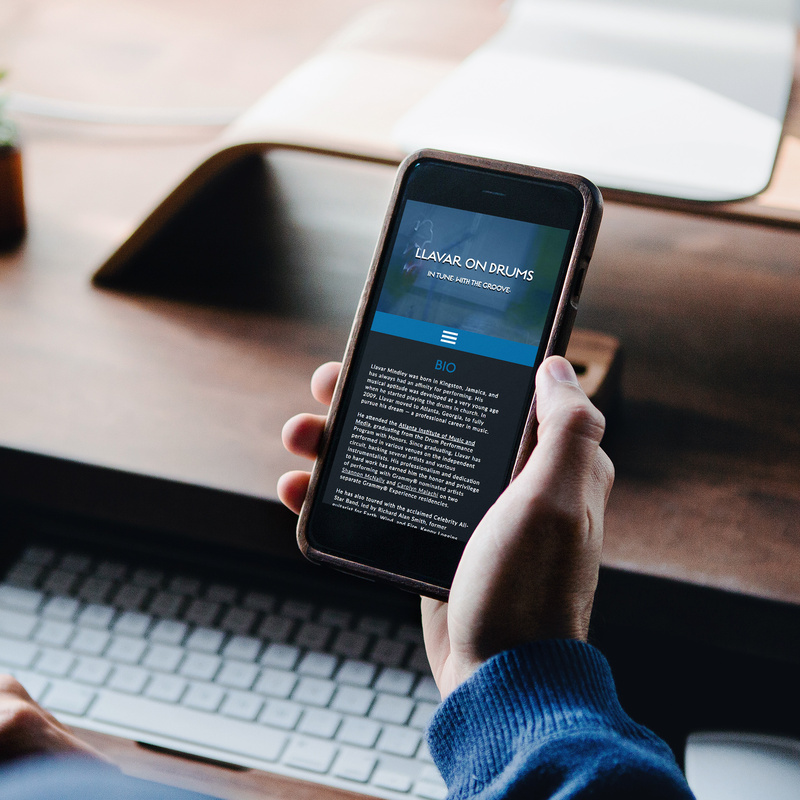 Responsible for wireframes, design, build, test and deployment of new pages; opportunities to interface with client partner to come up with best solution to increase traffic and educate end-users on new products. Designer for the award-winning Garden Club community website with periodic contributions to other parts of the company's website. Responsibilities included designing custom gift cards, managing vendor relationships, internal and external customer service. Created internal marketing collateral as needed. Skills: Adobe Photoshop, Adobe Illustrator, Quark, Microsoft Office Suite, Customer Service, Vendor Mgmt. Responsibilities included intranet design and globalization of e-Learning modules. Worked with external vendors to facilitate translation of training documents into 11 languages.
. : Portfolio : . Logo design for an inspirational book publishing company. Logo design, Christmas cards for an annual tree festival in South Carolina. Logo design, business cards and website for an online jewelry and accessories boutique. 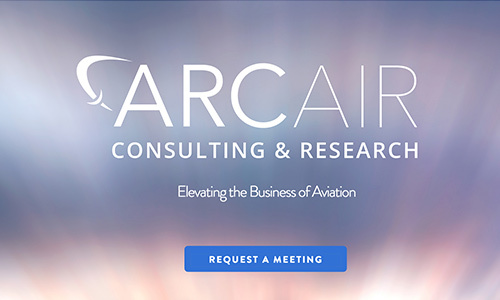 Website, business card, social media setup for a local Aviation Consulting & Research company. 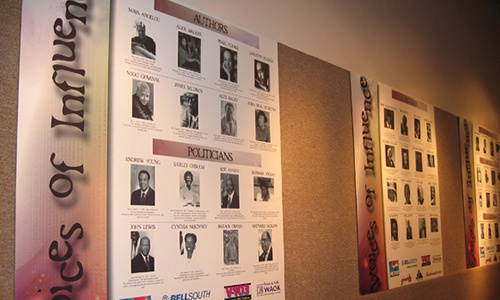 Museum installation at the historic APEX Museum in Downtown Atlanta. 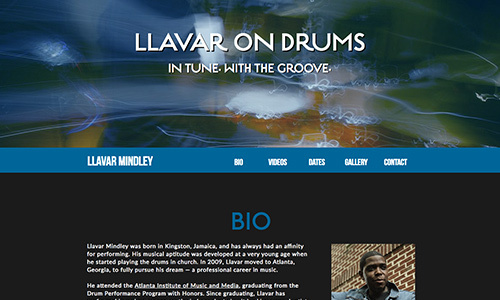 Website, business cards for professional drummer, Llavar Mindley. 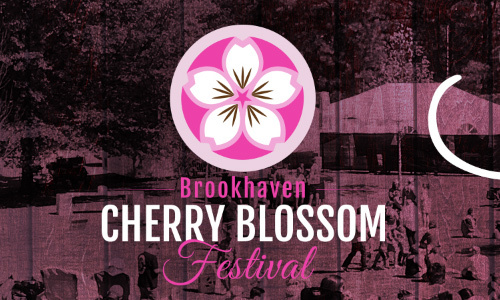 For the city of Brookhaven's second annual Cherry Blossom Festival there was a main focus to centralize all information for the community, vendors, sponsors and attendees. The goal was to publicize any updated information (musical acts, vendors, press releases,etc.) as soon as possible. 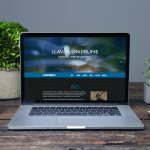 Wordpress was chosen as the platform for the site and I worked with a talented designer to create the graphics for site to match the look of the social media and print marketing efforts.
. : Education : .
. : Awards & Recognition : . Reason for award: Migrating how to guides into new template for Migration 2016, drafting Step Action plans for TCS. Keeping team focused on efficiency and consistently proving to be a problem solver. 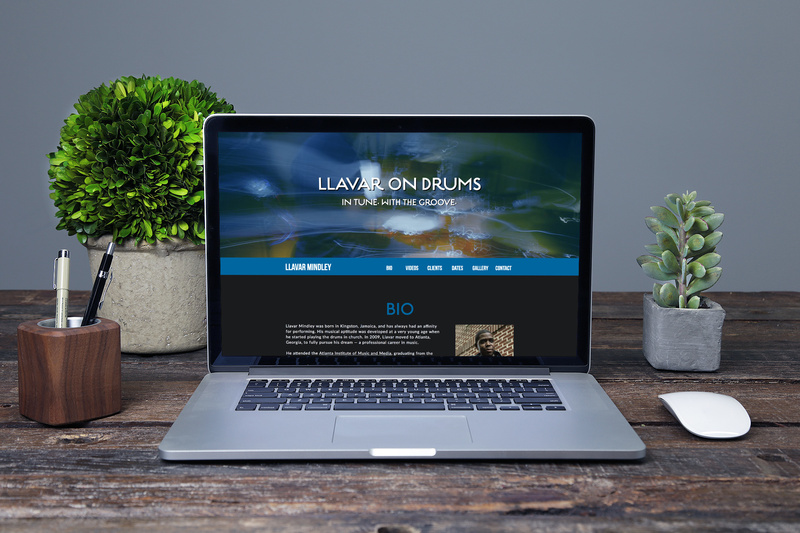 "Serving as an invaluable resource for the Creative Ops Team!" "I appreciate you taking the initiative to understand how we connect to all the video displays and sharing it with us all." Regina went above and beyond working long days and nights the week of 7/27 to ensure a smooth holiday launch. She was extremely quick to respond and helped out where ever needed to get the pages finished. Significant contributions and leadership throughout the FETCH migration/adoption process; going above and beyond to train teammates to be successful. "Regina has been awesome & truly a pleasure to work with on the Simple Tips projects. She was able to work closely with our Garden Club developer & greatly contributed to the successful launch of the new experience. Regina takes pride in all the work she produces, and goes above and beyond to get the job done! She's not only pleasant to work with, but she is proactive, incredibly talented, organized, and focused. The Simple Tips refresh could not have happened so smoothly without her!"
. : Testimonials : . "A very creative mind with an artistic eye who has the ability to see your business thru your customers eyes"
"You have made more progress in 3 days than the others did in 4 months. THANK YOU!! 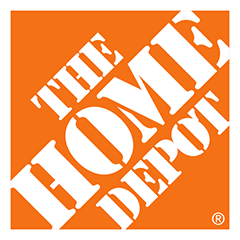 I appreciate all you have done and look forward to doing business with you again in the future." 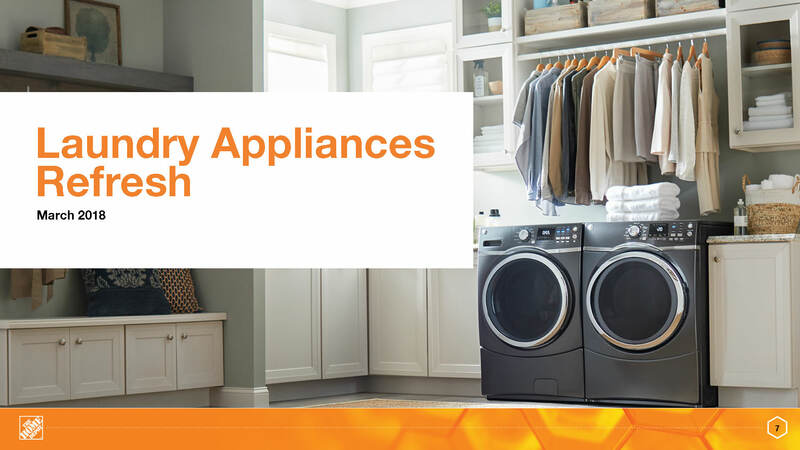 "Ms. Malloy has been a phenomenal service provider. Her expertise and professionalism is stalwart. She has proven to be an asset to each of my clients including my current employ. I highly recommend her for any task that is within her scope of work. Regina is truly a "subject matter expert." Enough about me. Let's talk about you!
. : FUN FACTS : . Allow me up to 48 hours to respond. © 2015-2018 Regina Malloy. All Rights Reserved. Powered by WordPress. Disclaimer: The opinions expressed herein are my own personal opinions and do not represent my employer’s view in any way.